Unlike their Millennial counterparts, we are seeing that Gen Z is more interested in purchasing items from peer-driven marketplaces as opposed to the direct-to-consumer brand model. In our Forecast Z report, PSFK Labs examines the idea of the ‘Human Marketplace’ and how brands can get involved in it instead of having it detract from their business. Gen Z is a talented and optimistic generation. They want to create, and they don’t necessarily see themselves as participating in the traditional workforce as we know it. 50% of Gen Z already perceive themselves as entrepreneurs, while 63% of Gen Z see themselves as influencers. When compared to Millennials, 17% more of Gen Z say that they prefer to purchase items through other people instead of retailers. All of these things combine to create a generation that will not stand for more of the same, and brands need to be aware of meeting these needs or risk falling far behind. Brands and retailers are already finding ways to implement new ideas and cater to the desires of younger consumers. 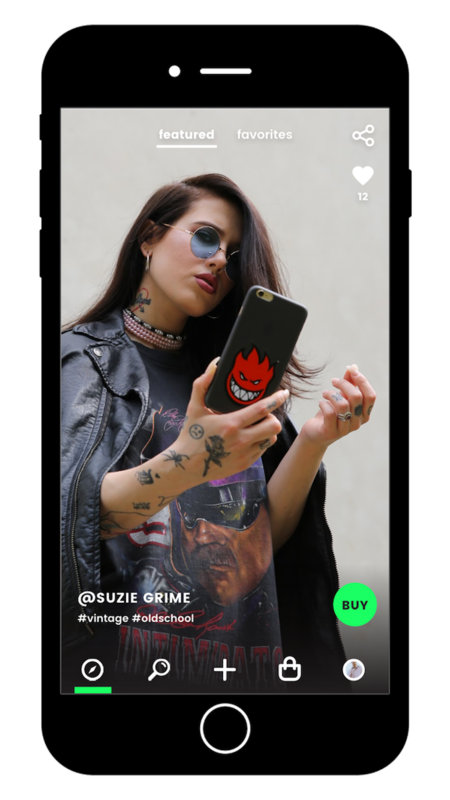 Yeay, a Snapchat-style e-commerce app, provides users the chance to market products or merchandise with the hopes of promoting entrepreneurship in the younger generation. Similarly, VFiles, an offshoot of fashion and cultural publication V Magazine, is giving up-and-comers in the fashion world a chance to sell items to an influential audience, gain a following and build their own personal brands. Brands seeking to jump on the trend of this peer-to-peer marketplace should be open to reaching out to younger consumers and working with members of Gen Z to create a symbiotic relationship. Even more than that, brands should be open to educating consumers to help instill a relationship of long-term trust.